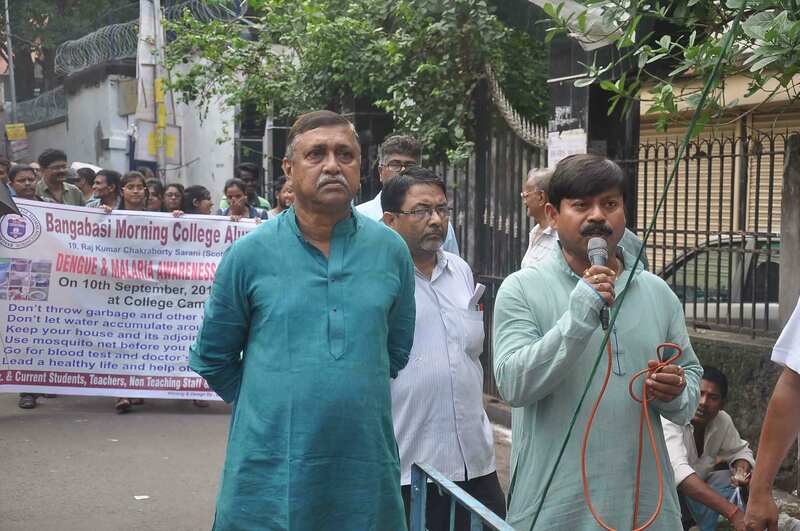 The Alumni association of the college was formed on 2005.Though it has not yet contributed much to the development of the institution ,yet it is conceived that the association might have much to do for the renovation and reconstruction of the second campus at 34 Surya Sen Street,Kolkata.Contextually,it should be noted that the KMC Primary school building taken on lease ath the above address (known as second Campus) was obtained mainly through the continuous initiatiove of Sri Ashok Deb,President of the Alumni Association.It arranges Health check-up and blood donation camp along with the Students Union every year.It also holds Annual function where ex-students are assembled,participate in various cultural events and recollect their old days in the college campus. 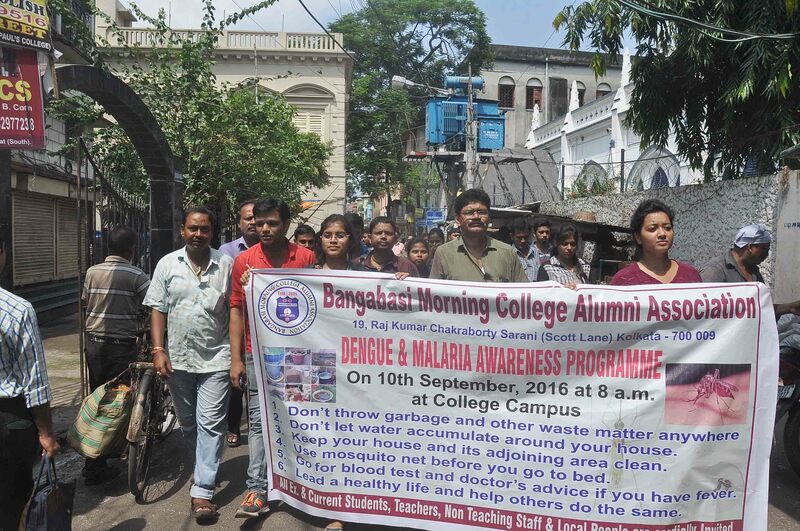 Alumni Association of Bangabasi Morning College conducted Dengue and Malaria Awareness Campaign on 10.09.2016. 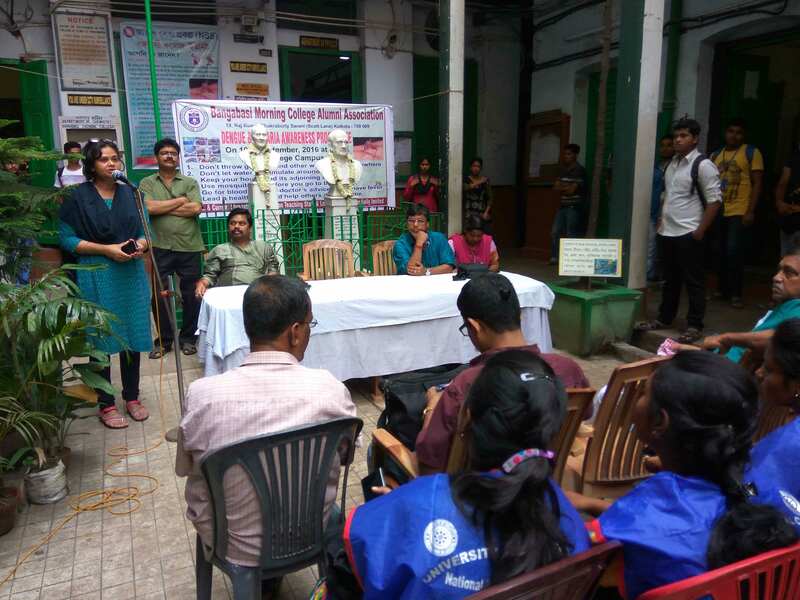 Past and present students and teachers participated in the awareness generation programme in and outside the college premises. 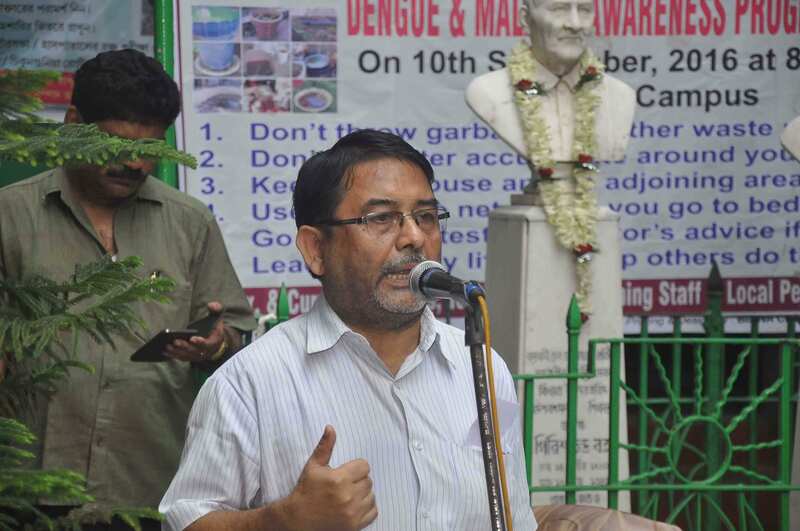 Among the alumni members Local Councellor and Health workers were present to highlight the various topics associated with dengue and malaria awareness. We are proud of some of our Alumni. 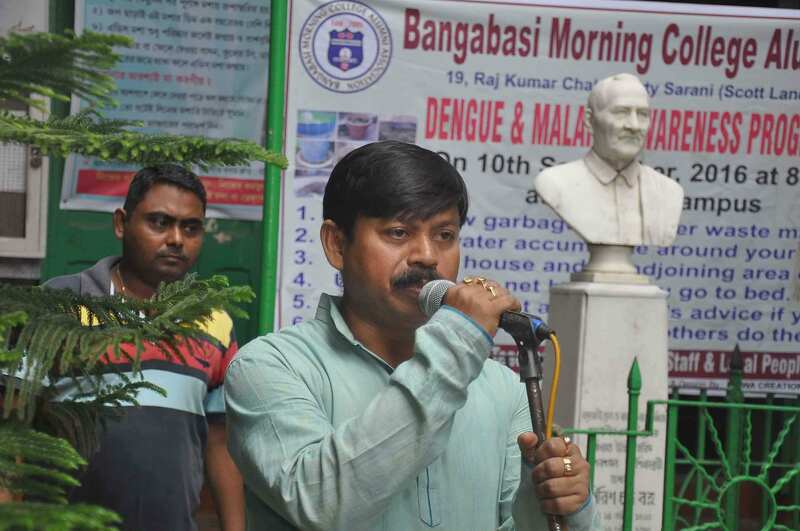 Sri Shivaji Banerjee,Former National Goalkeeper. 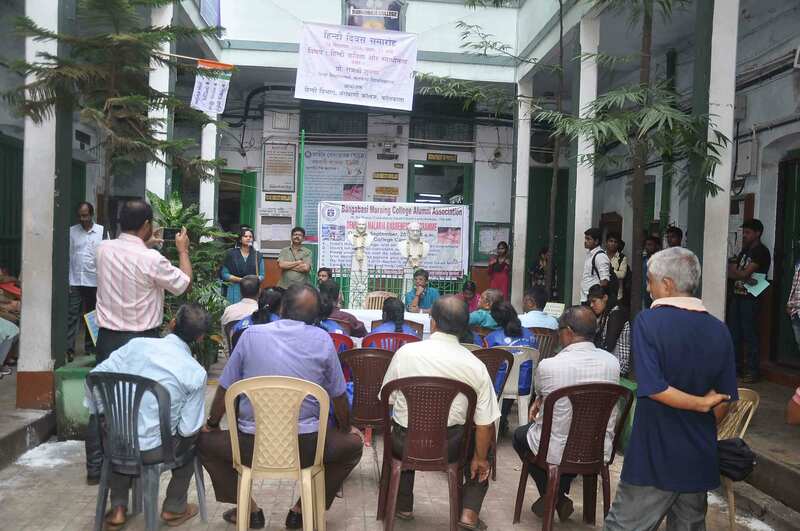 Justice Prabir Misra,Small causes Court,Bench III ,Kolkata. 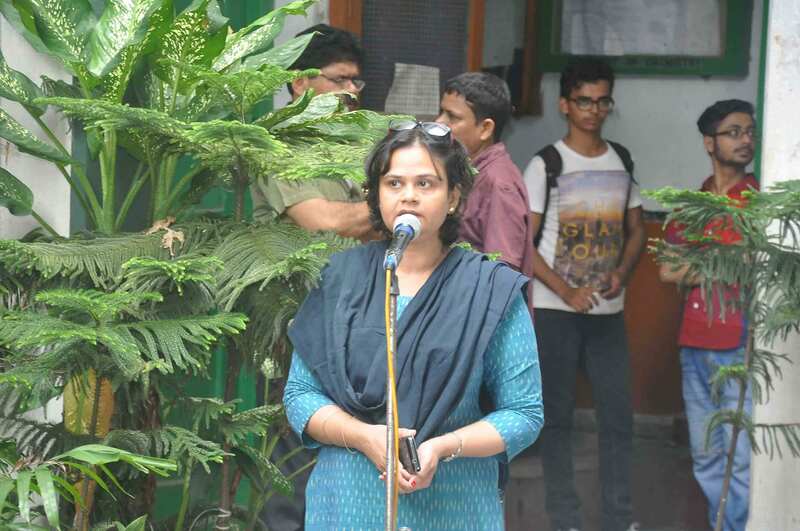 Ms.Piyali Acharya.Reputed Singer,Kolkata & Mumbai. 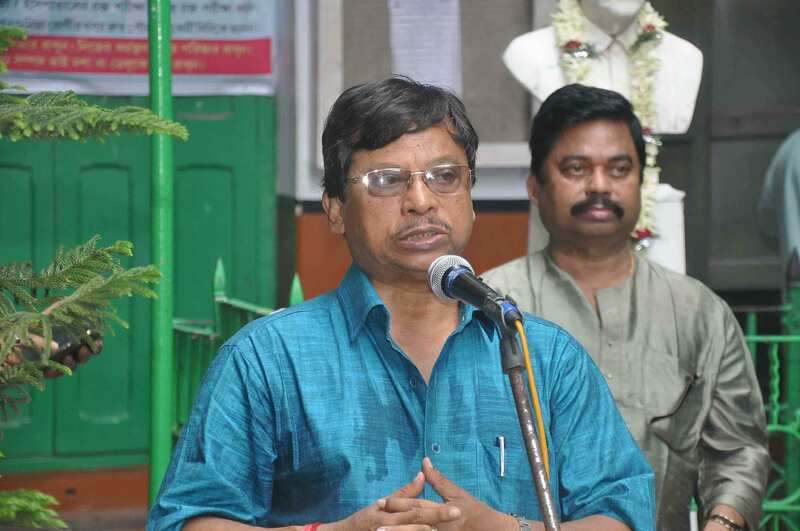 Sri Sankar Bhattacharya ,Superintendent.Stores & Purchase ,KMC.